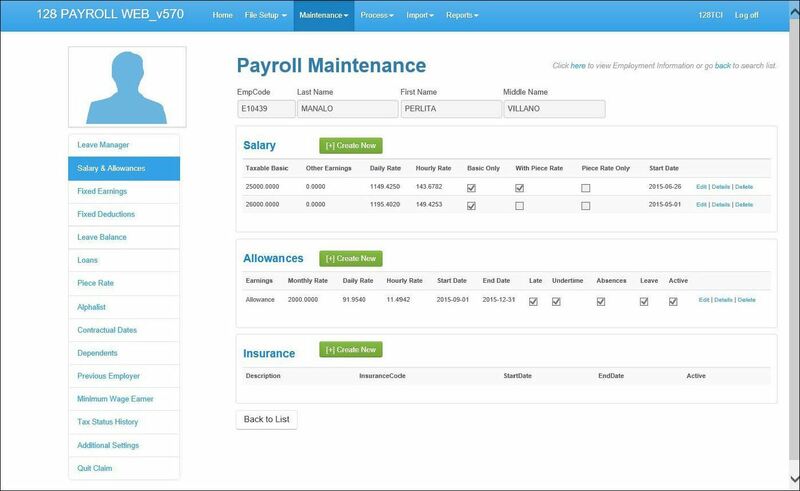 Fast and effortless payroll processing. Generation of internal reports and government statutory requirements. Minimum net pay, setting up priority deductions and monitoring deferred deductions. Generation of government reports and download requirements of BIR, PHIC, HDMF, and SSS/GSIS. Copyright (c) 2017 128 Tech Consulting, Inc.